Looking For a Bombproof Horse? What Makes a Bombproof Horse? A bombproof horse is ideal for beginners and children. As you are looking for your perfect first horse, you may have heard or read the advice to buy a horse that is bombproof. Ads in the newspaper or online might advertise a horse as bombproof. But what is exactly is a bombproof horse? The simple answer is any horse that is unlikely to become upset and spook at any strange sights or noises. A horse’s natural reaction to things that scare it is to fight, freeze or flee. Most horses will try to flee, and a spook is the beginning of the flee reaction. The freeze reaction is more common in young horses, or horses with limited exposure to the world. Fight in horses is a little unusual and for the fight reaction to take over, a horse has to feel very threatened and many horses, depending on their personality are unlikely to get to this point. A horse is, after all, a prey animal, and fleeing is their most instinctual response. So, when we’re looking for a bombproof horse, we’re looking for one with enough exposure, training, and the type of temperament that most scary things are taken in stride and overcome these natural reactions. What Makes a Horse Bombproof? How do you tell a horse is bombproof? Chances are, a bombproof horse is one with a history of giving beginner riders lessons or being ridden by other beginners. Spend time with it. Drop a saddle blanket on the ground. Take a big hanky out of your pocket and wave it around a bit. Make a sudden move. You don’t want to be ridiculous and wear a clown suit and carry balloons, but you can test horses to see how sensitive they are to unusual situations. This is where taking someone with you with lots of experience is helpful because they will be able to help you gauge the horse’s reactions. Who Needs a Bombproof Horse? Children, beginner adults and those who have confidence problems when they ride can benefit from riding a bombproof horse. This way, they can learn and sort out problems without being intimidated by the horse in any way. A horse that is bombproof makes a good beginner's horse because they are forgiving of the rider's mistakes. And, they are safer because they are not reactive, and thinking faster than the rider. It’s important to understand that no horse is 100% guaranteed not to spook, bolt or react in a way that might scare or unseat a rider. An otherwise calm horse, ridden over a nest of ground wasps can come unglued and turn into a saddle bronc. Loud noises, unsettled weather, strange sights such as hot air balloons coming overhead and other weird situations do occur and can make the most laid back horse nervous. But the bombproof horse’s reactions will be more controlled than a horse that is more reactive. Finding the bombproof horse can be difficult. It takes time to find the perfect first horse that is both safe and fun. Be sure to try many out, and take your time making your decision. 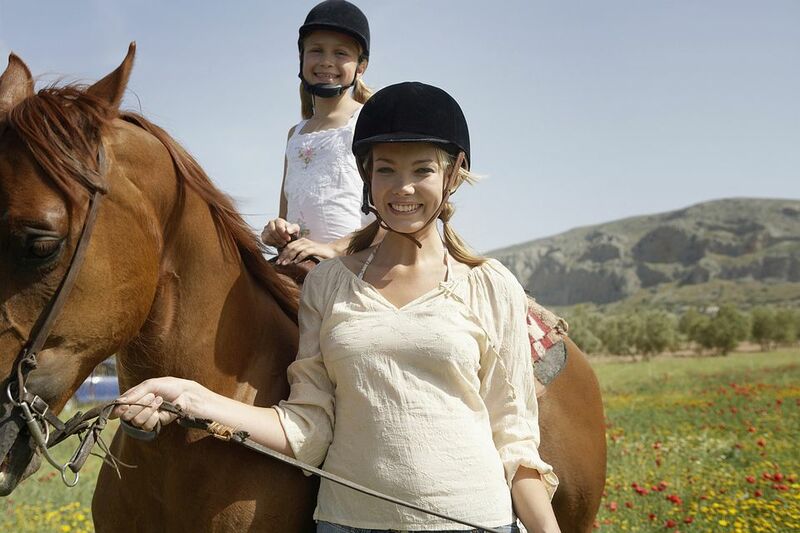 Example In A Sentence: A bombproof horse or pony is best for beginners and children. That way they can learn to ride safely and have fun.